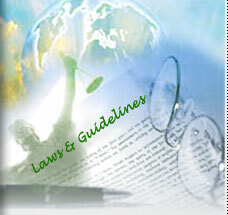 Procedure relating to import of Plastic Waste/Scrap. The Recycled Plastics Manufacture and Usage Rules. 1999. The Municipal Solid Wastes (Management and Handling) Rules, 2000. The Recycled Plastics Manufacture and usage Amendment Rules, 2002. The Delhi plastic bag (Manufacture, Sales and Usage) And Non-Biodegradable Garbage(Control) Act, 2000. The Recycled Plastics Manufacture and usage Amendment Rules, 2003.